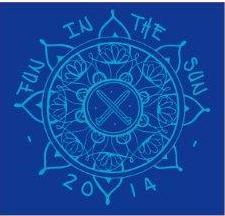 The 14th Annual Fun in the Sun team challenge lived up to it’s name again this year. Hosted by Caloundra Malibu Club, the two day event on 18-19 October was held at Ann St, Currimundi. As the aroma of fresh Amore coffee filled the air, spectators took in the action from their grassy hillside vantage point under the Pandanus trees. With strong southerlies, a building swell and an outgoing tide, the conditions were testing for even the most experienced of competitors. A special mention goes to the junior competitors for their gutsy efforts. I think it’s fair to say that the old mal riders really had their work cut out for them. Catching a wave that linked up and ran all the way through to the beach was no easy feat. Those who were lucky enough to score one, were rewarded with an eruption of stoked hoots from the crowd. 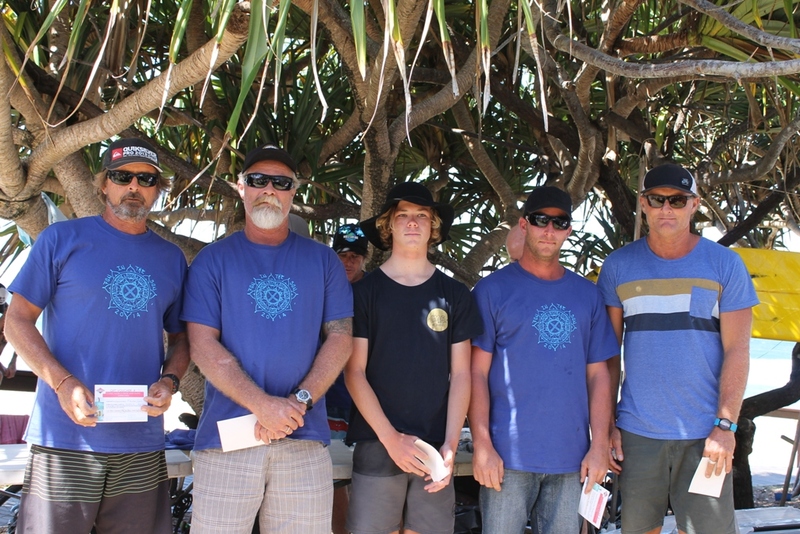 1st place – The Five Skins team from Alexandra Headland Malibu Club. These guys have attended every year since this comp began in 2001. Regular finalists, they were thrilled to take home their first Division A victory this year. Congratulations Five Skins. A well deserved win. 2nd place – Longstanding sponsors and regular finalists in this event – The Amore coffee team. During the presentations, everyone held their breath and crossed their fingers while the raffle boards were drawn. This year thanks to Classic Malibu Noosa, there was a performance longboard up for grabs and also generously sponsored by Global Surf Industries, we had a Stand up Paddle Board for raffle. Another lucky competitor took home the Factory Surfboards’ Grugstep log winning it at auction for a great price. It was a well organised event with a great vibe which would not have been possible without the tireless work of the club’s committed members. Thank you so much to everyone who helped out. Much gratitude to our event sponsors for your support. A collection of images can be viewed in our gallery. Big thanks to Christo, Noel Brady and Tanya Muscat for your photographic skills and contributions.